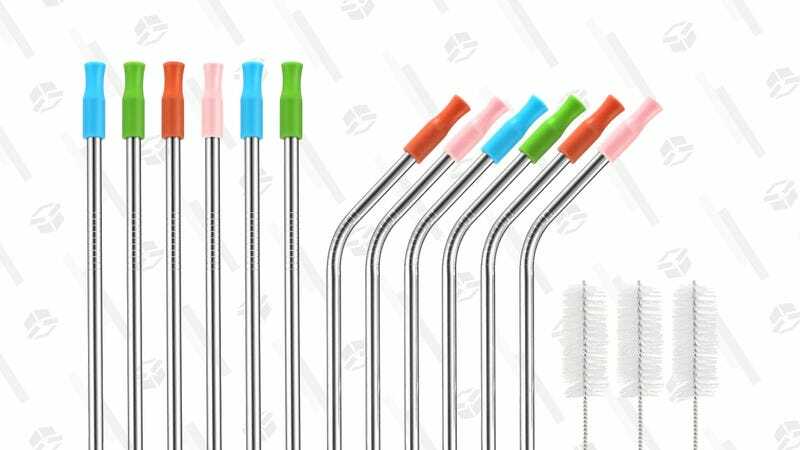 I love my stainless steel straws, but they don’t have fancy silicone tips like these discounted ones. I assume it makes them more comfortable to drink from. Regardless, using these straws can be a cheap way to reduce the amount of waste produced and they also make fun sounds when they clink around in my cup. 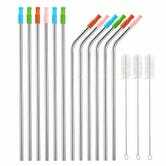 This set of 12 (6 straight and 6 bent) comes with the aforementioned tips and cleaning brushes, and the whole package is just $9 if you use the code K93WQILO.